Need your hands free, but still want to use your cell phone? 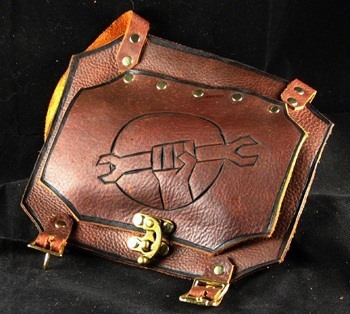 Tormented Artifacts has the solution for you, with their Communication Bracer. 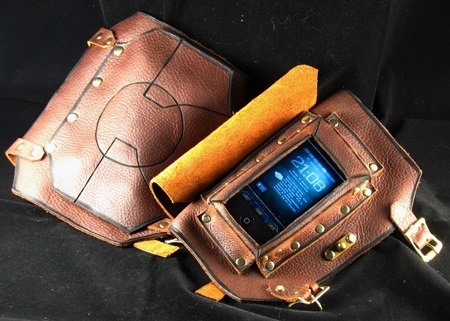 It's a custom-made leather bracer which fits standard smart phones and covers them with an easy-to-open leather flap so that you don't have to ruin the illusion of your steampunk outfit but still have your phone in easy reach. 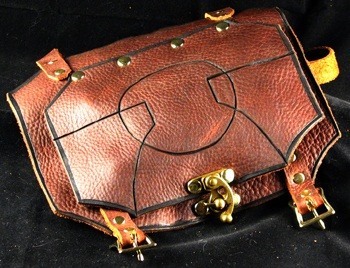 I'd get one if I did more costuming.